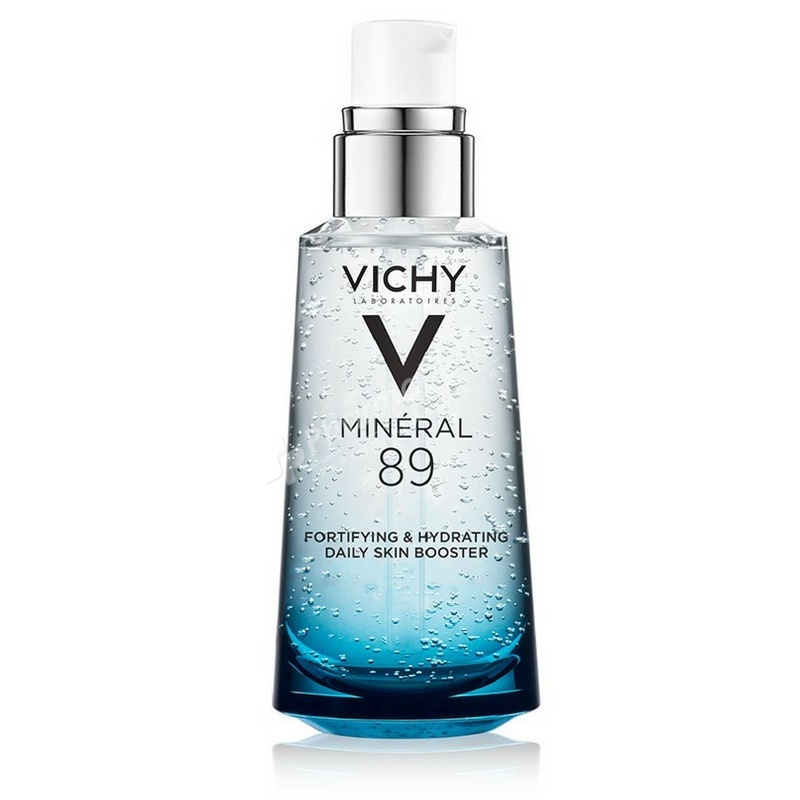 Vichy Minéral 89 delivers a boost of hydration for a vibrant, healthy glow. it combines 15 Mineral Rich Water with Hyaluronic Acid to fortify skin and make it more resistant to visible aging caused by pollution, stress to skin, and fatigue. Discover your skin's daily dose of strength, combining 15 Mineral Rich Water with Hyaluronic Acid to fortify skin and make it more resistant to visible aging caused by pollution, stress to skin, and fatigue. Minéral 89 face moisturizer, with 89% Mineralizing Thermal Water, delivers a boost of hydration for a vibrant, healthy glow. Natural Origin Hyaluronic Acid binds moisture to skin, holding up to 1000 times its weight to plump and hydrate skin. Apply 2 drops of hyaluronic acid moisturizer on your skin after cleansing morning and evening. Use as a regular face moisturizer on its own or as the first step of your skincare/makeup routine. Spread with outward movements from the middle of the face, without applying too much pressure.